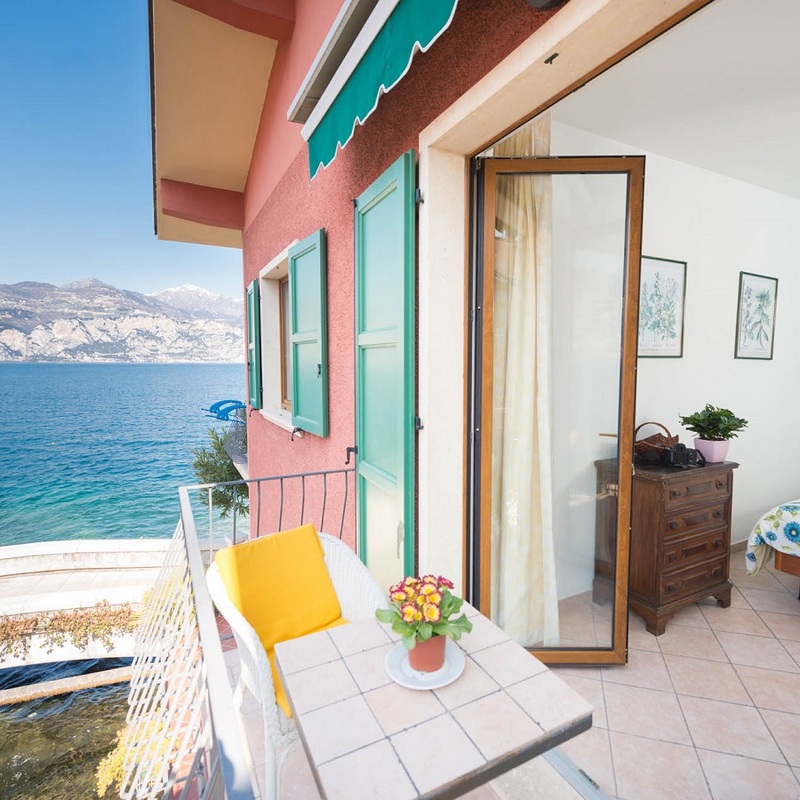 La Toresela is a small and romantic house located right on the water in the historic centre of Cassone, small village belonging to Malcesine about 4 km in the south. The small house offers accommodation for 2 to 4 people. Quiet , clean, lovely. The sound of the water. FRONT LAKE STUDIO FOR 2 PEOPLE. Small studio apartment for 2 people. In the first floor of the house. No lift. Bright, comfortable. Practically furnished. Composed of double bedroom with corner for cooking, bathroom, balcony in front of the lake. Tv Sat. Intenet WIFI. Parking in the village reserved for our guests. Beach lounger. Total amount for 2 people in the studio for a week stay: Prices from 500,00 Euro per apartment per week. Perfect accommodation for 4 people with 2 separate rooms and 2 bathrooms. The apartment is arranged on 2 levels with independent entrance. View on the lake and small balcony seeing the sun from sunrise. Tv Sat. Internet WIFI. Parking reserved in the village for our guests. Beach lounger. Prices from 500,00 Euro per apartment per week. 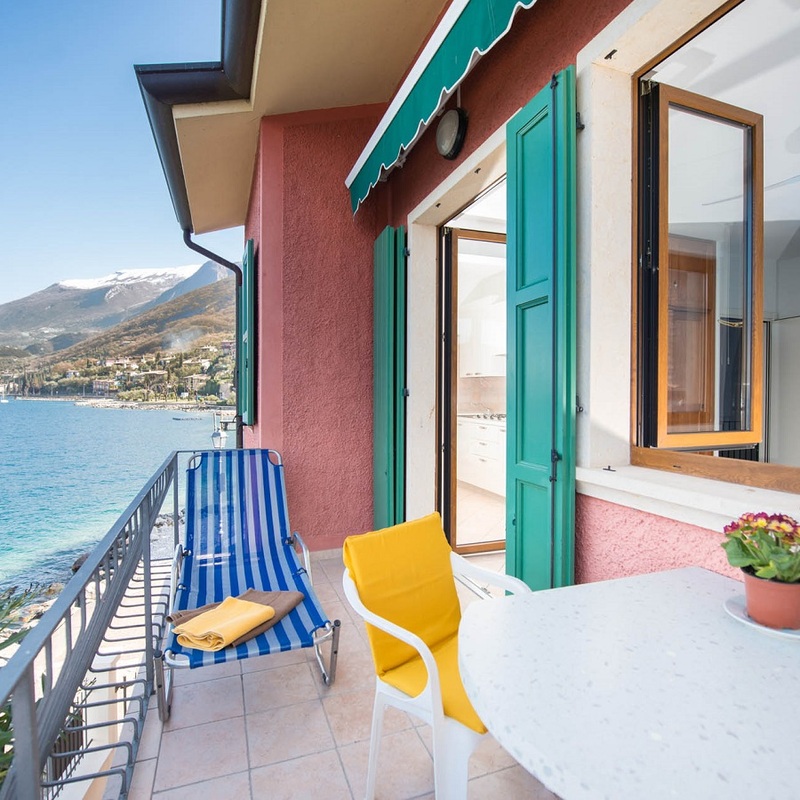 Villa Teresina accommodation for 2 to 4 people. 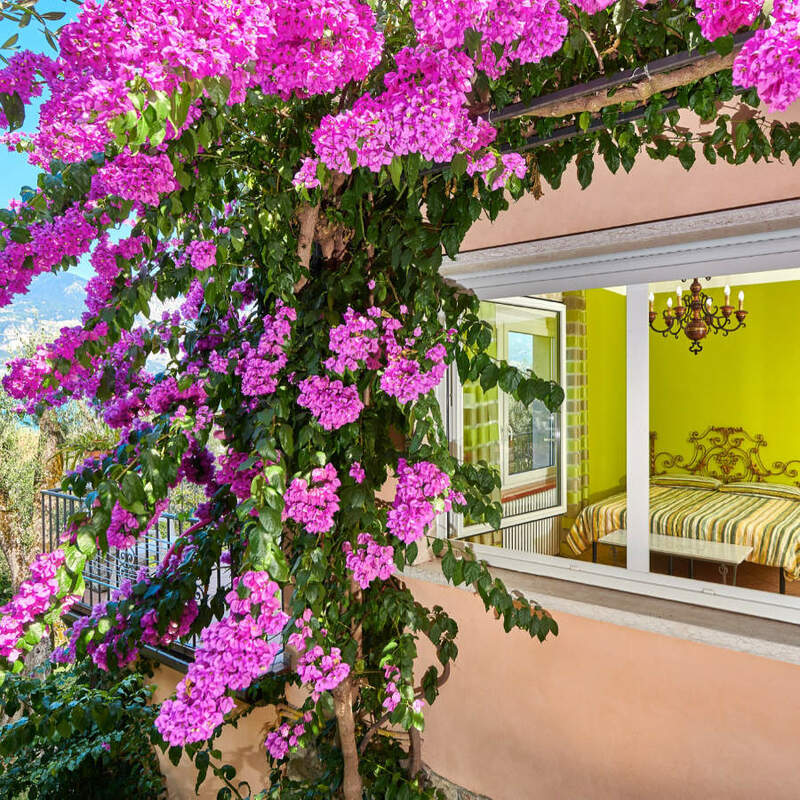 Villa Teresina is located in Brenzone sul Garda, in a quiet area surrounded by olive trees. The house is a short walk from the beach and village centre. Enjoy a large apartment for your holiday. Relax on the terrace, forget parking problems. Tv Sat. Internet WIFI. Parking reserved. Minimum stay: 1 week during the saison with arrival and departure from Saturday to Saturday. In Villa Teresina possible arrival and departure also on Sunday and in the week. In low season minimum 3 nights. Arrival: please give an estimated time for your arrival ( morning/afternoon/ evening..) the best is to send a short message about 30 minutes before arriving at this mobile phone: 00 39 349 7107382. How you get to the house: Park in Cassone nord along the lake and walk to the red house right on the water. You can see the red house from far away. Check in: usually the apartments are available at 2 pm. If you wish to arrive earlier, please let us know and we will prepare your apartment as soon as possible. For safety reasons don’t smoke inside the house. Parking reserved in the village, beach loungers available. Apartment fully equipped with bed linen and towels. If you leave the apartment in normal condition no extra costs for cleaning will be charged..
At the time of booking a deposit of 100,00 euro per week is required and not refund in case of cancellation. Tourist tax according to local standard.